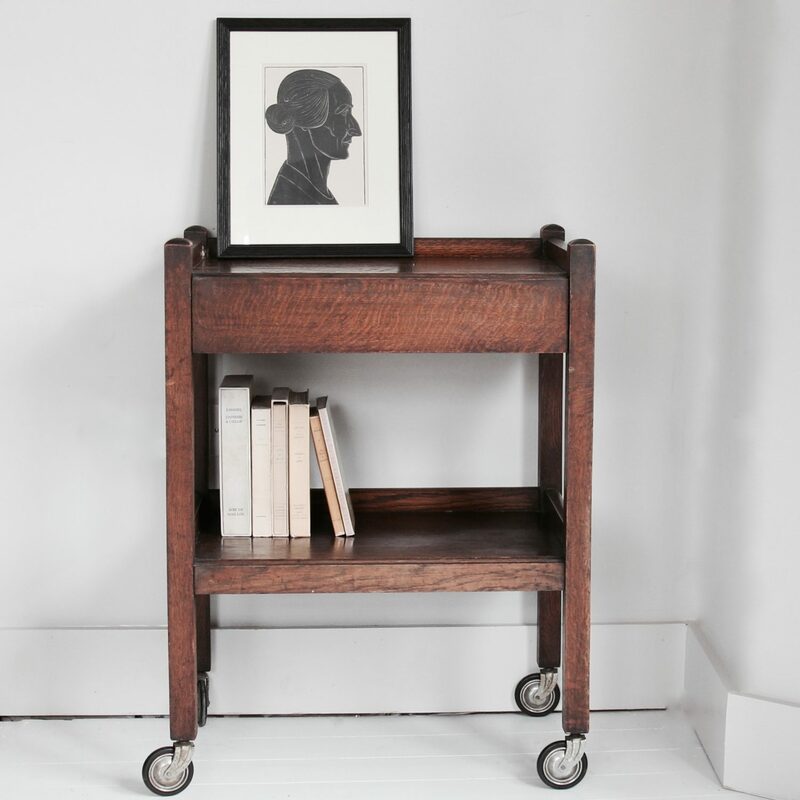 Attractive mid century tea trolley with practical and interesting side drawer, featuring original wheels. Very simple and contemporary, with attractive square proportions. Extremely popular again in contemporary and period homes. The piece rolls beautifully. Would be great for displaying towels and cosmetics in the bathroom, or simply being used as a drinks trolley, or magazines and books stand.